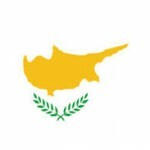 To attract foreign investment into the economy, Cyprus has revised its Scheme for Naturalization of non-Cypriot Investors by Exception and is offering new investment options that allow immigrant investors to apply for Cypriot citizenship without extended residence requirements. Shareholders of a company that fulfills the investment requirement. Eligibility will be determined on basis of proportion of percentage of ownership in the company. High-ranking managers of a company that meets the economic criteria provided the individual receives remuneration that generates tax revenue of not less than €100,000 for a period of three year. The manager can apply only after the tax has been paid in advance or paid after becoming due. The investments should have been made within the period of three years immediately preceding the date of application. The investments should be retained for a period of three years after the date of naturalization as a citizen. Clean Criminal Record: The applicant must have a clean criminal record. Further, the investor should be named as a person whose property has been ordered to be frozen in the European Union. Private Residence in Cyprus: Irrespective of the choice of investment option, the applicant must own a private residence in Cyprus with minimum purchase price of €500,000 excluding VAT. If multiple individuals of the same family apply as separate investors, then the applications can purchase a residence collectively provided the individual contribution of each applicant to the value of the property is not less than €500.000. The property can be let out on rent. The property can be sold provided the applicant purchases another property of the same or higher value. Children aged less than 18 years are permitted to obtain citizenship under Section 110 (3) of the Civil Registry Law which requires an application from the minor’s parent. Students up to the age of 28 years who are studying in an institution of higher education for a Diploma or Undergraduate or Master’s degree are considered as financially dependent. A child with severe physical or mental disability that renders him/her unfit for work is considered as financially dependent. Those studying for a diploma or degree other than their first qualification are not considered financial dependent. If the application form has been duly filled, all necessary documents have been submitted, and all investment requirements have been met, the process will be completed in approximately three months from the date of payment of the Application Submission Fee and issue of receipt for the same. Submission of the application form along with all relevant documents. Examination of the documents relating to business activities and investments of the applicant in Cyprus by the Ministry of Finance. The Ministry of Finance shall submit its views whether the applicant meets the investment criteria established by the Council of Ministers. The Ministry of Interior will carry out simultaneous investigation as to whether the applicant is in compliance with other relevant conditions. If approved by both Ministries, the application is submitted by the Minister of Interior to the Council of Ministers for the final decision. If approved by the council, the Certificate of Naturalization will be issued by the Civil Registry and Migration Department after payment of Naturalization Certificate issuing fee of €5,000.